Sir Winston Churchill said it well, “We make a living by what we get. We make a life by what we give.” Last winter our list of Holiday charity events was a big hit, we hope you find this compilation helpful and encourage you to explore our BIG List of Local Charity Events in Tampa for Spring 2016 to determine what you can do to help. The next six weeks in Tampa are PACKED with events and opportunities to share what you have been given while having fun, drinking, dancing, dining, enjoying old friends, meeting new people and connecting with your community! The White Party 2016 brought to you by The Hard Rock and 13 Ugly Men to raise funds for The Spring in Tampa. This annual event sells out as local patrons dress up to Party for a Purpose with the 13 Ugly Men Foundation poolside at the Seminole Hard Rock Hotel & Casino Tampa . The night before Join the Fun at the 13 Ugly Men Benefit Slots and Concert benefiting the Foundation. The Westchase Charity Golf Tournament benefiting Voices for Children aides local Guardian Ad Litem programs through Voices for Children. Play your way through 18 “Beers of the World” at the beautiful Westchase Golf Club . Entry Includes a pre-tournament lunch, goodie bag, complimentary beer and spirits, a post tournament dinner and awards banquet. Cost per single is $175 a foursome is $700. Prizes for: Closest to the pin, longest drive, hole in one, 1st low net score, 1st low gross score and 2nd low gross score. Enjoy the fun, enter the raffles and raise money for a worthy cause! Thanks to World of Beer Westchase for hosting this event! Tampa Marriott Waterside Hotel & Marina plays host to one of the biggest events of the year in Tampa, Magnolia Ball. Over the past 22 years this ball raised more than $33 million dollars in support of Tampa's Moffitt Cancer Center. This year's black tie event features performances by The Goo Goo Dolls and sells out every year! Check the link to see if tickets are available. Tampa Jewish Family Services is holding a benefit at Congregation Schaarai Zedek on Swann Avenue in South Tampa for an evening of Mixology, Flambe’ and Bidding! Tickets are $125 per person for the Patron Party and $50 for the Main Event. Party goers below age 35 get in for $35! Enjoy cocktail demonstrations, cigars, a painting session and silent auction. FASHIONOLLIA 68 Following World War II, the Tampa Woman's Club expanded it's efforts towards civic pride, education, and local welfare needs. In 1946 the fundraising charity project Fashionollia was initiated. Eventually becoming a well-established social and charitable function in Tampa. the Tampa Women’s Club will hold their shopping, luncheon and fashion show at Renaissance Tampa this year. venor shopping begins at 10 am with lunch ane the fashion show beginning at noon. Tickets are $65 regular reservation or $125 for a Patron Reservation. Click the link for additional information. Painting With A Purpose for Moffitt Cancer Center / Carrollwood – Reserve your spot at Painting With A Twist Carrollwood and put the FUN in Fundraising for Miles for Moffit this month. Beginning at 1:00 pm tap into your creative side while sipping wine (BYOB) for a great cause. 50% of each registration benefits Moffitt Cancer Center. You are welcome to bring your own food and drinks! Beer, wine or champagne only are permitted. They provide plastic cups, everything you need except for ice and utensils. So pack up your spirits and paint your heart out. Can’t make this event? Painting with a Purpose is a monthly fundraising event held at all Painting with a Twist locations and the best part, all funds stay local! Check out the location nearest to you and see who they are raising money for this month! Lights Fashion Hope 2016 kicks off it's 30th anniversary at Straz Center for Performing Arts at 6 pm in support of homeless and at-risk children in our community through Tampa Lamplighters. By attending Lights, Fashion and Hope you support Metropolitan Ministries Tampa, Florida and Joshua House charities. Join the party Thursday April 21st from 6 - 10 pm for an elegant evening of food, music by Shawn Brown Entertainment, casino-style gambling and a jewelry show by Continental Diamonds. There will be a silent auction, raffles and a 1 karat diamond giveaway! Tickets are $100 - $10,000. 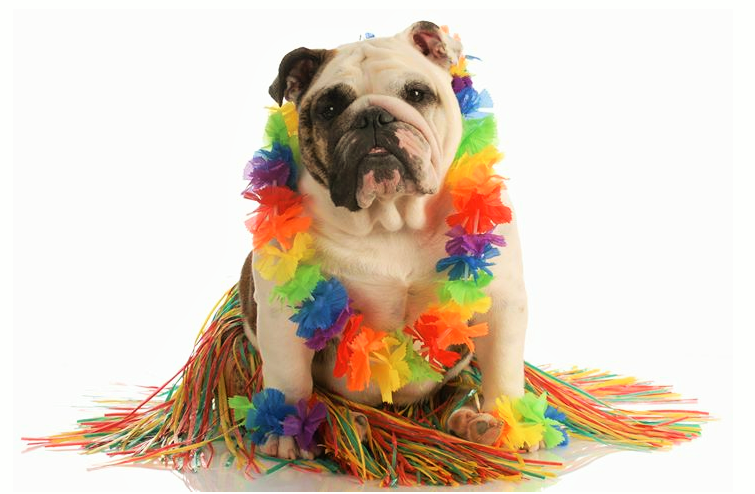 Hyde Park Village will host an island themed Block Pawty Luau for the Humane Society of Tampa Bay on Saturday April 23rd from 11 am - 1:00 pm. Dress your pup in his or her island best and head to the Village Circle for a day of tropical four-legged fun! Proceeds will benefit the shelter! Enjoy a Pop-Up Dog Park, Live Music & Entertainment, enter the Best Dressed Beach Pup Contest, stock up on Pet Supplies and stay for Raffle and Prizes. Pediatric cancer is the focus at Fashion Funds the Cure - Pediatric Cancer Fundraiser from 6:30 - 10:30 pm. Grab your tissues and celebrate life at this extraordinary event where patients display incomparable strength and courage on the runway, escorted by celebrities. Guests of the event can enjoy fine wines and delicacies from top restaurants while raising funds. Giuliana Rancic, a famous TV personality, entertainment journalist, fashion and beauty expert will bring her fashion insight to the runway while hosting this unforgettable evening dedicated to children, strength and beauty. Held this year in the Port of Tampa's Terminal No 2, as a VIP you can meet Guiliana at 6 pm, doors open for general admission at 6:30, runway begins at 7:30. Tickets are $150 per person general admission, Patron tickets are $1000 for two with added amenities. Chaired this year by Trey & Nina Traviesa, the 2016 Tampa Bay Heart Ball at the stunning Tampa Marriott Waterside Hotel & Marina is once again a SOLD OUT event. 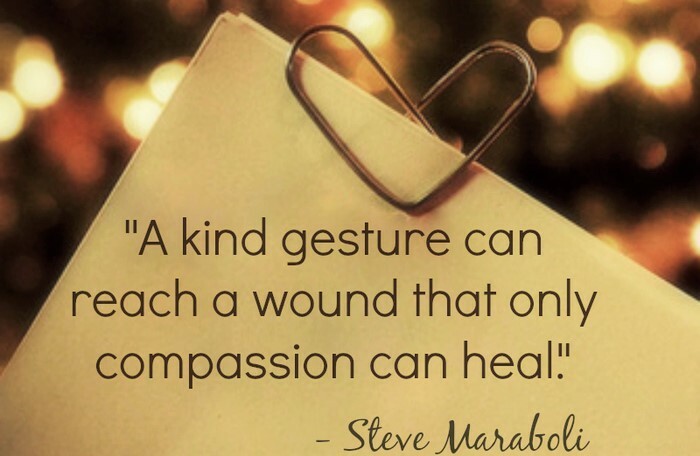 You can however still open your heart by donating. Imagine a world without heart disease or stroke. Heart disease kills more Americans than the next four leading causes of death combined but we can't let that stop us. Make an impact by donating to the AHA today. Follow the link and click on the "Tickets' tab"; your donation helps the Heart Association fund research, improve patient care and lower risk factors for heart disease and stroke. The annual Sea Grapes Food And Wine Festival at the Florida Aquarium is always exciting! Sink in to some fun at the Aquarium as you stroll through exhibits, exploring Florid'a sea-life while sipping from a selection of over 120 wines and dining on foods catered by 20 locally popular restaurants! General admission and VIP ticketing is available. Proceeds benefit The Florida Aquarium's youth education and conservation programs. Enjoy the atmosphere, the water views, live entertainment and more at this premier charity event. Sweet! A vintage variety act. A Vaudeville style show with a wide range of acts including one of our favorite things to do, Swing Dancing. Step back in time for some fun Burlesque, Live Singing, Drag show fun, Comedy and more! Dress the part and enjoy a night of live entertainment, raffles and prizes including Gift Certificates, Movie Tickets, Memorabilia, and much, much more. TPS will have drink specials and offer loads of fun as they transform The Tampa Pitcher Show into a classic variety venue from the early 1900s. One hundred percent of the proceeds go towards preservation of this 30+ year Tampa landmark. By coming out to #SustainLocal Tampa Pitcher Show can continue to bring the 8123area entertainment for years to come. Support local, support small! Note: Raffles are cash only. A Night To Marvel takes place May 14th to benefit Tampa General Hospital. The theme for the 19th annual Foundation Gala is 'A Night To Marvel; Celebrating The Super Heroes of Health Care'. Here's your chance to channel your inner-superhero as the TGH Foundation honors health care providers and patients at this fundraiser. Attendance benefits the Tampa General Hospital Children’s Medical Center. The venue this year is the Tampa Convention Center where they've switched things up a bit from years past by planning a sit-down dinner and live auction. The Heroes’ Party begins at 6:30 pm, the Gala at 7:30 pm. Attire is Superhero Chic, capes are encouraged and Black Tie is Optional. Tampa General encourages you to check out their Pinterest Page for ideas! This one is going to be fun! If you'd like to stay overnight the Tampa Marriott Waterside Hotel & Marina has a block of rooms for this event, call them today and enjoy their famous Sunday Brunch before heading back to your daily identity! 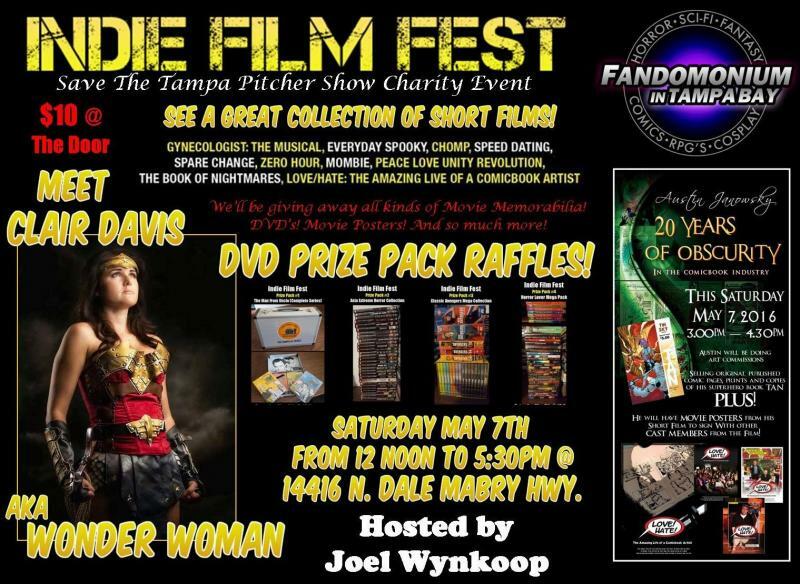 Help raise funds to pay for the required digital film equipment for a great Carrollwood neighbor, supporter of independent film and local performing arts and artists, The Tampa Pitcher Show. Not to mention a wonderful small business, one of the firsts to combine food and film for us way back in 1982! If you have not been, The Tampa Pitcher show has GREAT food and drinks! Enjoy a rare daylight appearance by the Lint Rollers! And remember...special appearances by top secret musicians are always on tap at a Lint Rollers show! $8 at the door gets you all kinds of cool swag, DVDs, T-shirts and more, maybe even a Lint Rollers backstage pass or two for you and a friend. 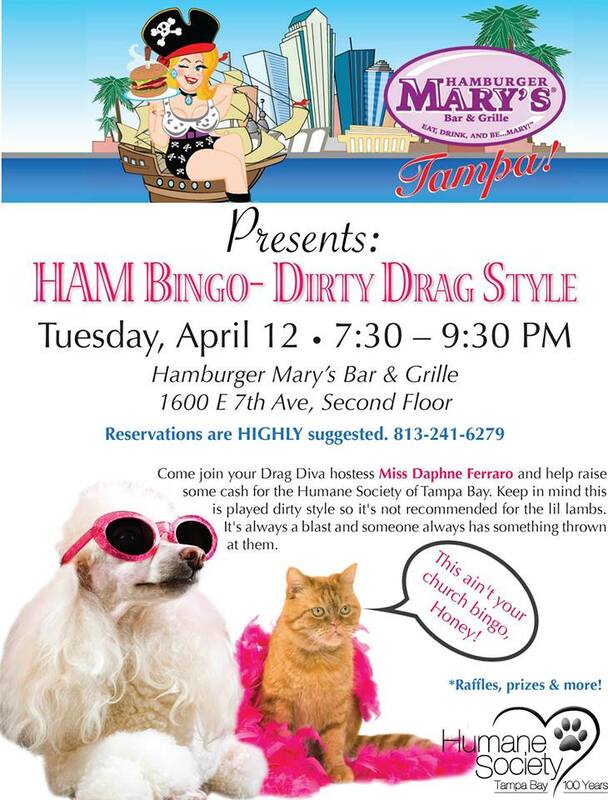 Show your support for a local small business in Tampa and enjoy this rare appearance! Enjoy the 11th Annual Ybor Chamber Golf Tournament on May 16 benefiting the HCC Scholarship Fund. Funds raised at this FUNdraiser support HCC students in Film & Digital Media Programs at the Ybor HCC Campus through the Dr. Lois Gaston scholarship. The Ybor City Chamber Golf Tournament was started in 2005 to aide students enrolled in Hillsborough Community at the Ybor City Campus.Created in honor of long-term HCC Ybor City Campus President and Ybor City Chamber Board Member, Dr. Lois Gaston funds also support cultural events promoting the businesses and residents of Ybor City. Mark your calendar for Monday, May 16, Registration begins at 11:00 with a 12:30 pm Shotgun Start at the Temple Terrace Golf & Country Club . Players will be treated to a fantastic lunch from Cristino's Coal Oven Pizza and Italian Restaurant in Ybor City and dinner from the Temple Terrace Golf Club. Enjoy Monday out of the office, enter drawings and the challenge competitions, win prizes and support a great cause! Join Hellcats Burlesque for one hell of a good night as we say "Thank You" to our uniformed men and women! Enjoy live music, beautiful dames, gorgeous men, and an all-around evening of fun, laughter, and good old fashioned raucous fun with the Hellcats!! Tickets are $15 $10 for military personnel (active and veteran) with ID (or the little ''v'" on your license) You've served, let us serve you! We hope you found something fun and beneficial on this page, perhaps you learned something about a lesser known charity. At MyArea Network our goal is is to engage communities by connecting people to events and information helpful to them. Please let us know in comments below if we missed an event you know about!